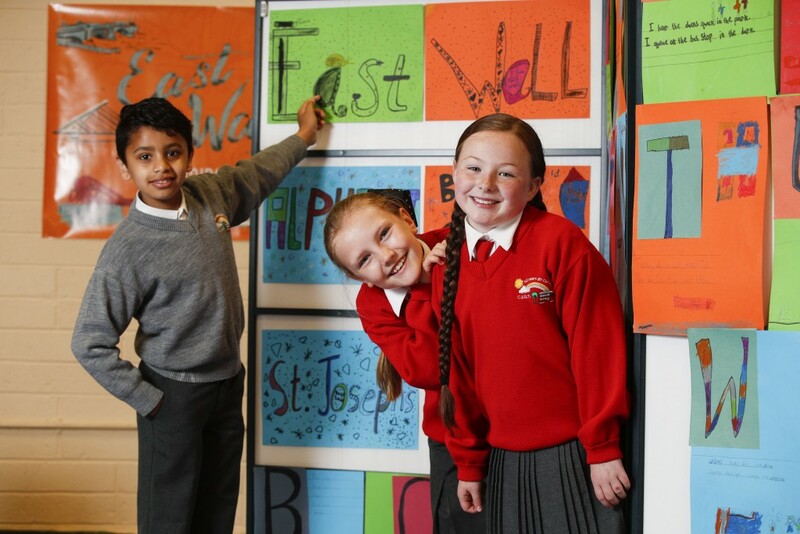 Over the past two years children’s author and poet Catherine Ann Cullen has been working with pupils in St Joseph’s Co-ed Primary School in East Wall in Dublin with a view to improving their creativity and literacy skills. She was the professional writer selected as part of a new writer-in-residence programme, a three-year partnership created by A&L Goodbody under the Docklands Arts Fund. It is the first school residency in the country supported by a company. The initiative builds on A&L Goodbody’s existing partnership with education charity Suas, which involves its people volunteering for a paired literacy support programme with 8-14 year olds in schools in the Docklands. Since it started five years ago, 180 of A&L Goodbody’s employees have taken part in the programme, supporting 150 young people from the local community. “The Suas programmes have been so successful. The schools tell us they really value them and pupils are benefiting from increased levels of literacy and confidence in reading aloud and comprehension,” says Sinéad Smith, corporate responsibility manager, A&L Goodbody. From the time she started the residency in October 2016, Cullen felt she was given free rein in terms of the creative journey she took with the classes. Her fresh approach during the hour-long sessions went down well with both the teachers and children. Each week the pupils ‘commissioned’ her to write a poem on a theme of their devising, and the following week’s session opened with that poem. Cullen compiled her poems for third class into a book called ‘Homework Poemwork’ and those for fourth class into one called ‘East Wall Odes for East Wall Road’. Cullen encouraged the children’s individual creativity through ideas like the ‘East Wall Alphabet’, where each pupil made a poster of one letter and wrote a rhyming couplet about places or things in their community starting with that letter. Ballads have always influenced Cullen’s work and she has written six songs together with the pupils at St Joseph’s, including ‘East Wall Lullaby’ by third class and ‘East Wall Bridges’ by fourth class. In May 2017, A&L Goodbody hosted an event as part of ‘Stories from the City’ for the International Literary Festival Dublin where the work of the residency programme was showcased.